Deputy Energy and Coal Industry Minister of Ukraine Dmytro Labozhenko has discussed prospects of cooperation in modernization and technical refitting of state-run coal mines with a delegation of China Development Bank. The ministry's press service reported that the meeting was held in Kyiv on Tuesday. As reported, Ukraine earlier raised Chinese loans to modernize Melnykov Mine (Lysychanskvuhillia) after signing an $85 million long-term loan with China Development Bank in December 2011. In December 2012, Naftogaz Ukrainy signed a $3.656 billion government-secured loan agreement with the bank to implement projects to replace gas by coal. The credit line was opened for 19 years, including a five-year grace period for paying the principal of the loan. The loan has not yet been used. 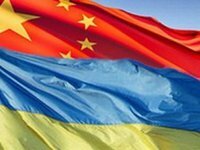 Ukraine proposed to the bank that the list of projects is changed and China gave its consent. Naftogaz Ukrainy in April 2016 reported that the holding proposes to finance modernization of heating systems in private houses of poor families and provide $1.7 billion for this purpose. $1.3 billion could be sent to build a thermal power plant in Kyiv and Lviv region to reduce gas imports and $400 million to buy equipment to increase gas production by Ukrgazvydobuvannia. The company submitted these four investment proposals to the Economic Development and Trade Ministry to assess their viability. Finance Minister Oleksandr Danyliuk opposed the project to modernize heating systems in private houses of poor consumers. China Development Bank is waiting an official letter with a list of projects that Ukraine seeks to finance using the loan from the Economic Development and Trade Ministry.